Ahead of likely next-gen changes for the 2020 model year, the 2019 GMC Yukon and 2019 GMC Yukon XL will feature just a handful of updates. The full-size SUV’s biggest change for 2019 involves a couple of new package offerings. These will be available only on the Yukon’s SLT trim level. These packages are similar in nature to the RST and RST Performance packages that were introduced last year for the Chevy Tahoe and this year for the Chevy Suburban. The Yukon Graphite Edition will include a Z85 suspension package, 22-inch bright machined wheels with Carbon Flash Metallic Pockets, black assist steps with Gloss Black accents, a body-color grille surround, and a variety of other Gloss Black touches for the beltline moldings, C-pillar vertical trim plate, and roof rail inserts. The Yukon Graphite Performance Edition will feature a 6.2-liter EcoTec V8 L86 engine, a 10-speed automatic transmission, Z95 Magnetic Ride Control, a two-speed active transfer case for 4WD models, a trailer brake controller, a 170-amp alternator, 22-inch six-spoke black wheels, a head-up display, an 8-inch Driver Information Center, and an 8-inch color touchscreen that includes navigation and the GMC Infotainment System. Previously, the 6.2-liter V8 was only available on the Yukon Denali trim. In other changes, the 2019 Yukon will do away with two color choices: Mineral Metallic and Iridium Metallic. Three new colors will be offered: Dark Sky Metallic, Pepperdust Metallic, and Smokey Quartz Metallic. 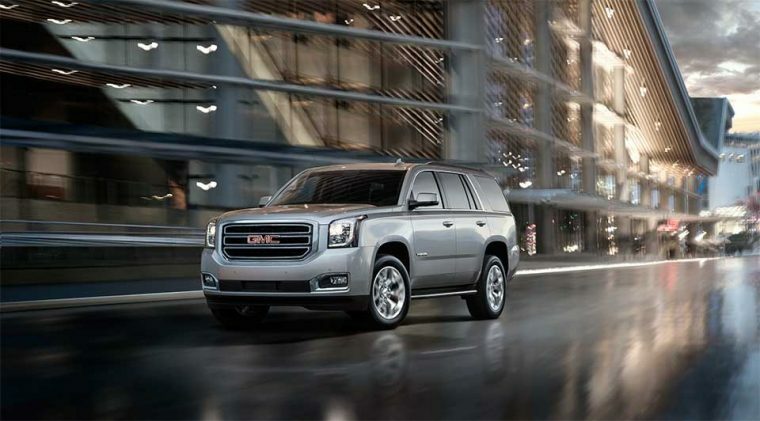 A more luxurious alternative to the Tahoe and the Suburban, the GMC Yukon is now in its fourth generation.